ATLANTA, Nov. 1, 2018 /PRNewswire/ -- Kroger is pleased to announce a significant New Markets Tax Credit (NMTC) allocation to support the construction of a 345,000-square-foot food warehouse and distribution center for the Atlanta Community Food Bank (ACFB). 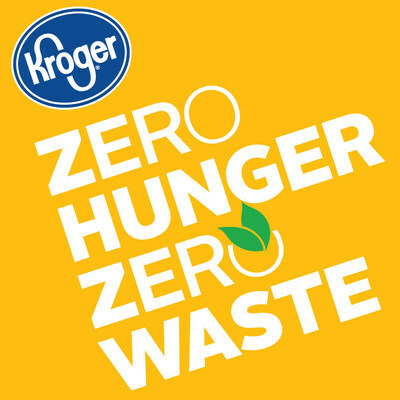 The $15 million NMTC allocation aligns with The Kroger Co.'s national Zero Hunger | Zero Waste initiative. Through the social impact plan, Kroger has set a vision to end hunger in the places it calls home and to eliminate waste – especially food waste – in the company by 2025. "Kroger is committed to living our purpose to change the world," said Tim Brown, president of Kroger's Atlanta Division. "Our purpose is to Feed the Human Spirit™ – to uplift families, communities and one another. This partnership is a clear step in our mission to end hunger in our communities. We are excited to align with the Atlanta Community Food Bank in its initiative to close the food meal gap by 2025. By working together, this project will enable us to significantly impact the metro-Atlanta community through more balanced meals and greater access to healthier foods." Plans for the new warehouse and distribution center include approximately 70,000 square feet of cooler and freezer space, which will allow ACFB to place greater emphasis on fresh food rather than canned or dry goods. This design decision will allow ACFB to move nearly 50 million pounds of fresh fruits and vegetables annually from the warehouse to partner organizations by 2025, approximately quadrupling its distribution of fresh produce. "We are incredibly honored to receive Kroger's significant support and continued commitment to our mission," said Kyle Waide, CEO of the Atlanta Community Food Bank. "This allocation is a comprehensive, once in a generation, transformational investment in the capacity of the Atlanta Community Food Bank and the larger emergency food system we support. It will allow for us to mobilize the food, people and ideas, so that no one is hungry in our community." The new facility will also create around 85 new jobs. "Across the United States, 42 million Americans struggle with hunger, while more than 40 percent of the food produced in the U.S. each year goes unconsumed," said Brown. "Kroger is committed to changing that statistic by taking measurable actions, just like today's ACFB investment." This is the first time Kroger's Community Development Entity is supporting a non-profit through its NMTC allocation to the ACFB. The NMTC program is a prospective source of funding for the construction or major improvement of a commercial building in qualified census tracts, specifically where the poverty rate is at least 20 percent of the community. NMTC incentivizes businesses and real estate companies to invest in low-income communities through a federal tax credit. The program is directed by the U.S. Treasury Department's Community Development Financial Institutions (CDFI) Fund and allocated by local Community Development Entities (CDEs) across the United States. At The Kroger Co. (NYSE: KR), we are dedicated to our purpose: to Feed the Human Spirit™. The company focuses its charitable efforts on hunger relief, K-12 education, women's health initiatives and local organizations in the communities it serves. Kroger's Atlanta Division is headquartered in Atlanta, Ga., and is one of the Southeast's largest retail grocery chains with more than 183 stores, covering Georgia, Eastern Alabama and South Carolina.